I'm not trying to ruffle anyone's feathers by doing this, I just want people's opinion.... What do you guys think about dancers that only go to pow wows to dance what they need to dance.Such as only dancing their contest song and one grand entry and place? There are good dancers out here and most know that they are good but should you be and act so big headed to be this way at pow wows? Do they think that they should be able to disrespect the circle and other dancers by not dancing all grand entries, intertribals, exibitions, and specials? What does that teach our young ones out here? That when I'm good or when people know me, that I don't have to put my heart into it or I don't have to dance my hardest? You should go to a pow wow to dance because you love to dance not to throw on your outfit, dance contest,take your outfit off and wait for winners to be called. As I said before not wanting to hurt anyone's feelings or upset anyone just want an honest opinion. Too many dancers wit big heads, they think it's all bout the $$$. And it's gettin pretty sad, always complain' bout dis and dat, gettin pissed if they don't place high enuff. Man it's gettin sickening. Dance from the heart and give it your all. And pow wow committees stop helpin them bloat their heads even bigger. Stick to da rules even if they are a champion dancer, deys all the same. Their ***t stinks just as bad as mine do. 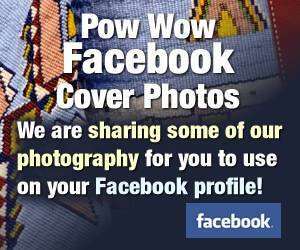 There are traditional pow-wows and contests pow-wows. If the pow-wow is a contest pow-wow then I wouldn't be critical or judge a dancer harshly if they only participated in grand entry, their category and a few intertribals. I mean, if they are a serious contender--basically pro or semi-pro relying on their talent dancing to pay the bills--they need to save their energies and avoid injury by choosing when and if to dance at other times. It would be foolish of them to be out there, sprain a knee and then lose their livelihood. Do I think it is wise to make 'pow-wow' your career and sole means of support? No, but there are still a select few, the creme de la creme, that have the talent to make a pretty good go of it. These are mostly guys who started contesting as boys and have continued to do so, are known for their style, talent and have a great reputation on the pow-wow trail. Most dancers, however, do not honestly have what it takes to do that. They might think they do, but the proof is in whether their families are clothed and fed adequately, etc. So, I would ask you, how they are 'disrespecting' anyone, these contest dancers, by not dancing each and every dance. They do dance their hardest, because at a contest pow-wow that is what they do--compete. And, they've made alot of sacrifices along the way. People are jealous of them, many times there families don't stay together because the only thing they know how to do and do good--is dance--and dancing takes them on the road most of the year. A contest dancer, a dancer who relies on his/her winnings to pay the bills has to travel to wherever the best pow-wows are. They often have to start on Thursday so they can be at grand entry Friday night. They are pooped Monday morning from dancing all weekend and maybe they hit the road Monday or perhaps Tuesday to either go home or move on to the next place. How many folks holding down a 9 to 5, Monday thru Friday job can do that and keep their job? Again, they do dance their hardest, when they do dance. Which is why when they get older their backs, knees and hips are a mess; so their health isn't as great as it could be. And, since they don't have jobs with medical benefits they may rely solely on IHS for medical care--need I say more? So, I would say that for those people who for some reason get a hair up their a** about contest dancers not dancing every possible dance; that they stick to traditional pow-wows where it is unlikely you'll see to many of these dancers who seem to offend without meaning to. when i dance i dance "EVERY" song. this subjet is a big one with me. I was taught if you come out for grand entry, you don't leave the circle till retreat. end of story!!! i've seen this and it's not right. being a traditional dancer is a way of life, it's a commitment. people should give the circle more respect then just a way to make money. I'll get of my soapbox now. Our people always have had the concept of "competition" within themselves for generations and generations. Moccasin games, lacrosse, and many other recreational games that involve competition. Today there are contest powwows, and granted, I do believe it plays a part of the character and attitude of some of our people, but not all. Many dancers like to compete, its just that way. If they win, they win, if they don't, they don't. They still respectfully shake the hands of all competitors involved, win or lose. I've judged at powwows, and I do look for participation in dances other than grand entry. Last edited by ojibwaysweetie; 06-30-2004 at 10:32 PM.. I guess I look at it from another point of view too. I have been on a number of powwow committees. If we are going to criticize behavior in the arbor my gripe would have to be going out to dance in an inter-tribal and having to avoid all the folks just standing around talking or just walking--not dancing. Not everyone has regalia, not everyone dances contest, and when I do get up to dance intertribals I like to be able to dance, not stop and start, stop and start. I do dance from the heart when I dance but there are plenty of people who get out there and don't do anything but stand out there or walk around talking to their gal pals so that folks can see them and be noticed. The spectators you pow-wow committee folks like to bring in because of revenue, they get the show they come for. They see the Spikes during the Fancy Dance and the Paskemin's during Grass. I don't think they are keeping score of whether these guys dance full throttle during an inter-tribal or not. Just seeing them is a thrill. The snipers seem to be those who don't compete at the same level as these folks. So, I still have to come back to the apparent assumption by some who've posted here that any of these dancers who don't dance every dance aren't dancing from the heart. That's a pretty self-righteous, pompous attitude to have. But if it makes them feel superior to criticize the dancers in question, so be it. Like Jonathan Windy Boy said, there will always be those 'crabs in the bucket' that criticize, judge, find fault; it's just their way. He says all he can do (all any of us can do) is live his lives to the standard he's set for himself, without dwelling on the insecurities of others that makes them so negative and critical. what i say goes for me, no one else. I dance every dance, now if i gotta go take a p1ss then i might miss one but it not because i'm off lolly gaggen around. i give more money away then i take in cause i share with the community. at one where i was a tail dancer i got some money, i gave it back to the committie. money is nice to have and recieve but it isn't the end all be all. There are some "big" money powwows comming up that i'm going to. if i place then so be it. but i'm going to represent. not going to make some money!! if that was the case then i wouldn't go to the hand games i go too. cause the 20-30 dollars i just give away would sure look better in my pocket then in someone else's. I am just getting over a torn achillies tendon and i war danced at the memorial day powwow. it hurt like hell, no contesting just family dancing to honnor the veterns I danced as hard as i could and i sat out one dance cause my ankle hurt so bad. i gave some money away, danced hard, and got a sore ankle the next day to boot, man life doesn't get any better than that!!!! when i enter the circle it's for my family not me. being a traditional dancer is a honnor, not a job to pick up a check!!!! I have been on a few powwow committees, and I honestly don't remember trying to plan our powwows to make a buck. From high school to college and now, all committees I've ever been a part of work our a$$es off to raise money to have a "rockin" powwow. I must be doin something wrong..... I guess the casino powwows make money in their casinos. If the powwow is rockin, the dancers will dance, and everyone (except the people who always complain about something) will have a good time. Then you have had a good powwow. Who cares, which dancers do or don't dance. Just make sure you have a good time. I understand that some people make a living off of dancing but that is by choice. And no not everyone out here is jealous or trying to pick something to argue about. But I have been to a couple pow wows where a few dancers have danced just 1 grand entry and just contest and still placed first. And I don't think that is right. It's not fair for the other dancers that have danced all weekend. It shouldn't matter if you have a "name" or if you have a reputation at pow wows. If you dance and deserve a place then you deserve a place. It shouldn't depend on your name or where you come from. Some dancers don't even wear plumes or carry a fan if they see that there is nobody there with a name or somebody that they think will give them contest. But there is always somebody bigger and better out there. But it shouldn't be that way. Should be out there to have fun and dance and not have to worry about money all the time. People shouldn't have to go to a pow wow and think gosh such and such is here this weekend I know I won't be getting in. Just because someone has a "name" or is from that community doesn't mean that there isn't a another dancer there that is just as equal in dancing. I'm just tired of seeing dancers that know that they are good not participating in all activities! I agree! I hate that! The spectators you pow-wow committee folks like to bring in because of revenue, they get the show they come for. They see the Spikes during the Fancy Dance and the Paskemin's during Grass. I don't think they are keeping score of whether these guys dance full throttle during an inter-tribal or not. Just seeing them is a thrill. And to be crude.. that is what they are getting paid for. That is what makes the best of the best. And to look at the other side.. the committee should not treat the dancers and singers as a commodity. They should be respectful of them and have the payouts over and done with so people can be on their way at a reasonable hour. Hell I've been to powwows where we didn't get out until 5am because drums get paid last. That was ridiculous!! There are alot of things that could be changed on both sides. And having good dialog is the beginning of that change hopefully. If the judging rules state they will not be judged during inter-tribals, who are we to criticize or question their 'heart'? Then, again, if the judging rules say they will be judged during inter-tribals they damn well better dance in them. Some responsibility lies with the Committees to PUBLICLY post their rules, then others won't be offended. The responsibility then lies with the Judges the Committee is using to not give awards to dancers who do not follow the rules--including the one about being in regalia to accept award. Post your rules PUBLICLY. Good on ya! You're following your heart and that is good! when i dance i dance "EVERY" song. this subjet is a big one with me. I was taught if you come out for grand entry, you don't leave the circle till retreat. I feel the same way. I was getting too wrapped up in contesting when I was younger. So when my grandpa passed in 95 I came back into the arena with a different outlook. Guess I'm always gonna be a loner. Not ALL powwows are the same. Throughout the different regions of North America there are numerous "powwow circuits." Within these powwow circuits, you will see many of the same people and families throughout the year, following the same powwows. Some of these powwow circuits have long been established and are stronger than others. Of particular note is the Saskatchewan/Alberta powwow circuit. This is a strong powwow circuit where dancing during the intertribals factors into the outcome of the winners. (I think this is where the concept of "spot checks" originated). NG92782, you might travel to a major powwow in either Saskatchewan or Alberta this summer to witness the majority of dancers - dancing each intertribal. As for myself, I dance the intertribals because I want to. My dad used to tell us to dance when you had the opportunity, and dance with all your heart. You don't know who is in the audience who may see you dancing and you make them feel good. They may be broken hearted, ailing, or just down and they see you dancing with all you have and you bless them. That is what dancing is all about. Not visiting during intertribals, you can visit outside the arena. When you step into the arena, you dance. I have competed against some ladies that don't dance anything but what they get points for,and that is just them. I get a blessing and a good feeling when I dance the intertribals, and I learn more songs and how each drum beats the drum when I dance the intertribals. Either way, I get a blessing from this dancing. I hate those people who do that. There's this one guy who came in late and simply went through grand entry with basketball shorts and t-shirt with his holster belt on and a staff to carry. He did this twice. The AD did nothing but give a "brothers" hand shake and laughed. Another guy came in He dropped he whips(fancy feather whips) and the AD got after him and told the recorders to not count him in and the guy was told to not go through. THe thing that got me angry was that the jerk with the b-ball shortcuts simply left right after his name was taken. The same guy took first. I took second. What up with these type of people. Man. The special contest was nothing more than a popularity contest. We stood in line and the judge ask the crowd who they thought was the best. This all happen on the Navajo rez sorry to say. the guy who took first won this also. I got a fruit basket. I return gave that fruit basket to a family that probably needed it.